You absolutely should "not" throw a party here. 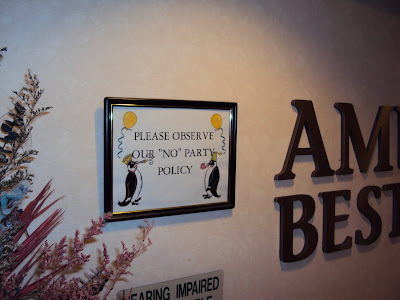 And you certainly should "avoid" inviting penguins. Thanks, Lemon Bottle. I think this means parties are OK if penguins are included, which is OK by me too.